View the full list of education session descriptions, networking events and speaker biographies. Learn how to navigate your way through the IHRSA International Convention & Trade Show. This session will help you establish your game plan for success, meet like-minded attendees, and make the most of your IHRSA 2017 experience! 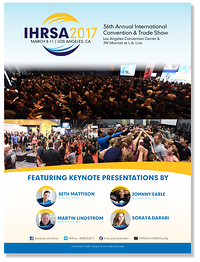 Several IHRSA 2017 sponsors are preparing presentations designed to offer more information about their products and services. These interactive sessions will provide all participants with the specifics they need in order to continue a dialogue with these event sponsors during the Trade Show. For Industry Leadership Council members and invited guests. To become involved, email Meredith Poppler. Join your colleagues from around the world to network and celebrate the energy and excitement of the industry! "The Fast Track" learning concept is intended to jump-start your morning breakfast with three concurrent 20-minute presentations per time period. Each is designed to educate early-risers with the best practices on a variety of topics for immediate application in any club. 11:30 a.m. - 12:45 p.m. | IGNITE! IGNITE! is a fast-paced, 75-minute event where guest speakers have 5 minutes and 20 slides to convey a concept they are passionate about. Presenters share their personal and professional insights on a host of topics that are informative, enlightening, or just plain fun! To become an IGNITE!  presenter, simply complete the brief application at ihrsa.org/ignite by December 15, 2016. Industry Leadership Council members and guests are invited to talk about public policy opportunities to encourage physical activity as well as to discuss other risks and opportunities for the club industry. For more information about the ILC, contact Meredith Poppler. "As a first-time attendee at the IHRSA 2016 Convention & Trade Show, I had no idea how many new ideas and connections I would make. I had only heard positive things from those at my club who had attended before and was so excited for the opportunity to experience it first-hand. Coming home with a list of over 50 new ideas to implement at my own club was the best feeling." Check out the list of education sessions, networking events and Trade Show details.